To say that Google had a rough year is a bit of an understatement - presumably, all of you are here reading this blog because Google+ is pulling the plug on your community and you need a solution. Well, I should say, a rather quick solution. The cleaners and garbage bags are ready and waiting for April 2, when Google will begin deleting all Google+ accounts and their content. With all the issues that Google faced this past year, I think it’s safe to say that you likely didn’t have the best of times either. I mean, who loves having their privacy and personal information breached? Well...at least you’re not alone in this...right? It was estimated that more than 52 million users were exposed. In addition to the issues surrounding privacy, Google also announced that part of its decision to throw in the towel was due to low usage and engagement rates. OK Google - let’s leave community to those who do community best. With the April 2 deadline quickly approaching, it’s clear that time isn’t on your side my friend, so let’s get down to business. First Things First - Protect Your Content! 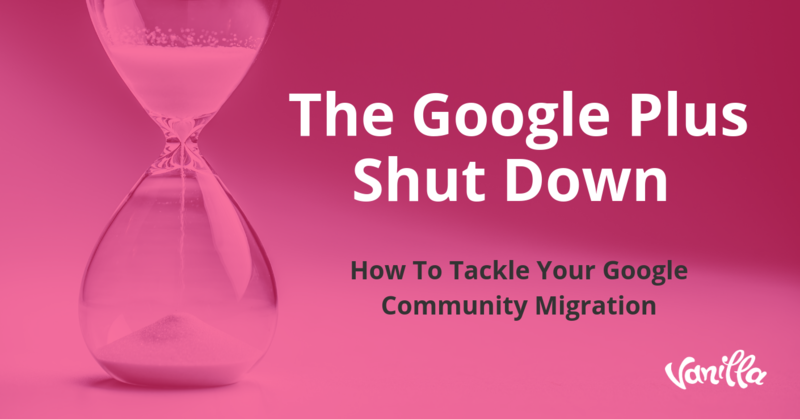 Before we dive into some of your migration options, I have to stress that as the Community Manager, the first thing you need to do is download and save your data from Google+. This is an absolute must. You want to air on the side of caution and make sure that you have everything you need for a successful migration. You don’t want to let this timeline creep up on you and risk losing all your data, because well, that’s what nightmares are made of. Let’s avoid that. You can find the official Google instructions on how to download your data here. Also note that if you are looking to download community posts from a public community, including information on the author, body, and photos, this will not become available to do until early March. Once you’ve downloaded your data, you’re good to start looking into some new (and better) options for you community - it’s time to make the best of a bad situation! What are your goals for having a community? What features do you need that will help you accomplish these goal? What platform will provide you with these features? Before we move forward and address these questions, let’s take a quick look back and evaluate what we’re leaving behind. What did you like about Google+ Communities (GCs)? What didn’t you like? This is a great opportunity to narrow down on how you benefited or lost value from this platform, which will help you make a more informed decision. Let’s take a closer look at each, since some are more significant (for better or worse) than others. Sure, we’d all love to rag on Google for their horrendous privacy breach, but there truly were some benefits of having a GC. This was definitely one of the best pros. Google+ was designed to compete with social media giants, like Facebook. Their strategy was to cleverly leverage their search engine dominance to make GCs quick and easy to find. This weighed heavily in their favour since communities built on their main competitor, Facebook, couldn’t be found on Google. In other words, GCs and their posts were indexed in the search engine extremely quickly, were easy to find in searches and gained rank fast. Companies with a GC were therefore seen more favourably in terms of SEO since their content attracted more traffic. Google is by far the most popular search engine; it’s preferred by about 75% of all internet users, so this was actually a pretty huge benefit. This helped contribute to brand awareness and played to various marketing strategies. As a Community Manager, I am sure you remember how easy it was to get started on GCs. The community setup and design process was certainly not complex and was pretty straightforward. 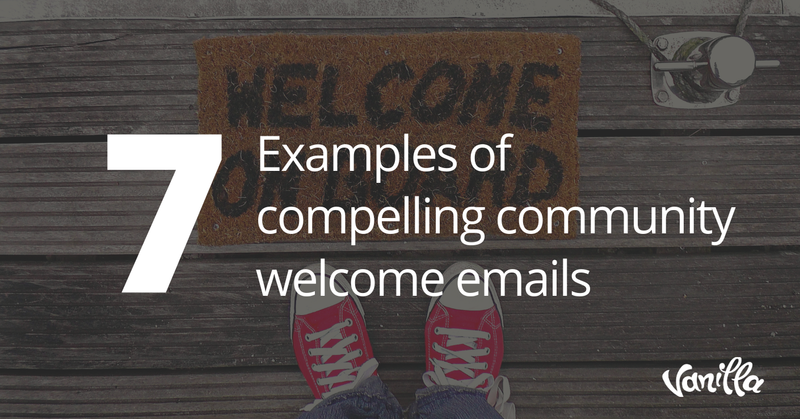 You could have a community up and running in minutes. As Google product, it was able to integrate with all the other Google features that we know and love, including Hangouts. This was definitely a plus, though there are no statistics on how many communities actually used this feature, or how often - so I guess you’ll have to decide on this one. The cons, in my opinion, greatly outweigh the pros. They also cast light on the lack of control that you have as a Community Manager when building your community on a social media platform. With nothing but basics available, it’s difficult to create not only a sense of culture, but also an immersive user experience. Depending on what your goals and purposes are for building a community, a lack of culture can literally be a make or break factor in the success or failure of your community. The user interface (UI) and the user experience (UX) design both play a crucial role in creating this sense of culture and establishing the behavioural norms of your community. When you have full control over the UI and UX, you can shape the community to be visually appealing and control the experience of your members. For instance, what do you want them to see when they first become members? How do you want to present this information? Having the ability to actually create your user-centric design rather than just tweak a few custom fields, is hugely beneficial. What I mean by this, is that when you created a GC, you were given the option to choose between a “public” or “private” community. Once you hit the select button, there was no going back. You couldn’t switch to a private community once you selected public, and vice versa. This is obviously a big one since this is the main reason why Google+ is shutting down, and why you’re even here reading this blog in the first place. Privacy matters - a lot! Google, however, isn’t the only one to experience massive privacy breaches, as I’m sure you’re aware. Just take a quick look at Facebook, for example. Most recently, Facebook was exposed in the Facebook - Cambridge Analytica data scandal. This particular privacy breach affected millions of users when their personal data was taken without consent and used for political purposes. The fear of a privacy breach when building a community on a social media platform is as real for you as it is for your members. Of course, it’s true that no security system is ever bulletproof. Just keep in mind that if you choose to build your community on a social media platform, it comes with a risk. More users on the platform means more personal data. The more data available, well, it’s a bit of a gold mine for hackers. In order to become a member of a GC, you needed to sign-in using Google’s own email service, gmail. As you know, a number of personal details are connected to your gmail account, so when it came to joining and posting in a GC forum, these details were always present. Members appeared as themselves and were unable to post anonymous questions. In community forums built on social media platforms, the inability to post anonymously can certainly deter participation and lead to lower engagement rates. This is however, mostly dependent on the purpose of the community. If, for instance, it’s a community about baking, I’m sure no one will be deterred to participate. On the other hand, if it’s a support community for those who are terminally ill, there might be apprehension for engagement since it means that members have to reveal their identity. On a branded community, members will be able to hide their identity under a persona; at least to the public. The moderators and community owners however will have access to the personal details of each member since becoming a member requires signing up and providing personal information. The difference here is that while you can’t post as “anonymous,” you can post using a username that isn’t related to your identity, or traceable back to you by those viewing the post. A huge issue with the GC forums was that there was very little moderation tools available to truly make the community, well...a community. Ever notice how you couldn’t merge discussion or comments? Or how you couldn’t create a new discussion from a comment? Yeah, that’s a bit of an issue for a community forum. 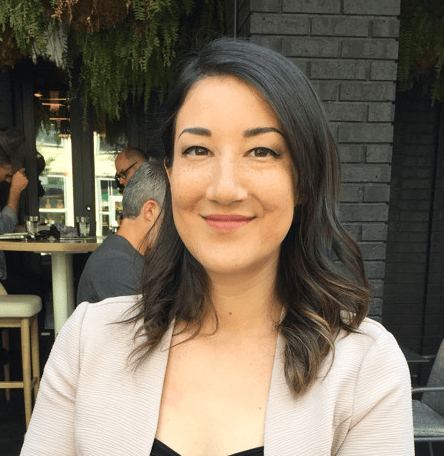 With that out of the way, let’s address the first major factor in determining where to migrate, which are identifying the goals of your community. What is the purpose of your community, and what are you trying to achieve? Your community purpose will be tied directly to your business objectives and goals. What are the goals of your business? What are your strategic priorities, and how does community fit into this? This process can actually be quite difficult to do. To assist you in this process, we’ve developed a framework that helps to ease the difficulties involved in making and planning a community. I’d highly recommend taking a look at our C.A.R.G.O framework to help you out in this process. Narrowing down on what your goals are will make your migration decisions and choices a lot more clear. Now, let’s evaluate, say the first feature: brand visibility and SEO friendly. Is this something that’s important to you, and supports your community goals? It likely is. Do you want your community, and the posts within it, to be searchable on Google? If so, maybe building a community on a social media platform isn’t your best option. What about the things that GCs didn’t offer? Were there any features that you personally wished were included? Well, if you don’t know where to start, you’re not alone. In fact, there are tons of different features available that you might not even be aware of. 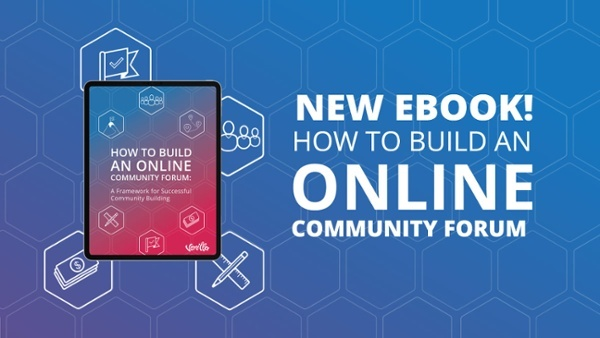 Download our free Community Platform Requirements Checklist and take a look at the different types of features that benefit a community. This spreadsheet will provide you with over 100 features that many organizations look for. This will give you a good idea of the types of features available, and is a good place to start. At this point, you might have noticed that a number of features aren’t available for communities built on social media platforms. Both types of platforms have their benefits, it just depends on what your goals are, and what features you need. 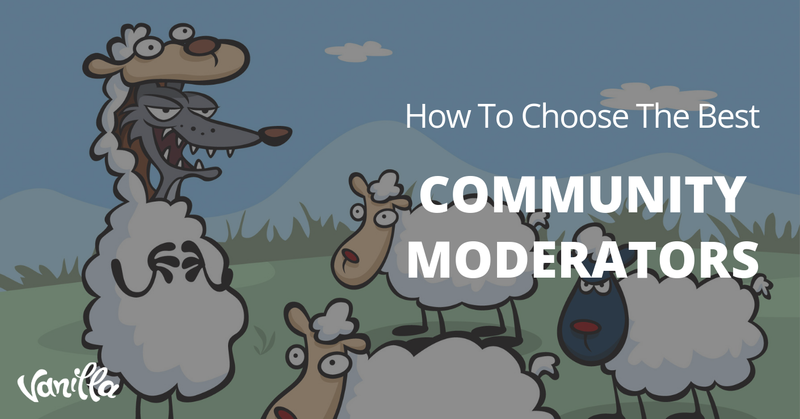 As mentioned, you could choose to go migrate your community to another social media platform, or you could choose to migrate to a branded community. Migrating to another social media platform will give you access to the basics of community, though you’ll certainly experience many of the same cons as you did with GCs. Migrating to a branded community will put the power back in your hands; as the owner of the website, you will be in charge of all the elements of your community and can customize it to reflect your brand identity and culture. In the end, you need to choose the solution that’s right for you. 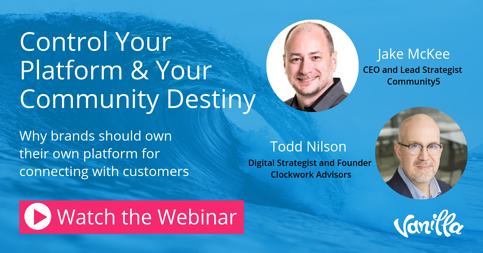 If you want to learn more about the benefits of building a branded community, and whether it would be right for your organization, take a look at our webinar: Control Your Destiny & Your Community Platform. 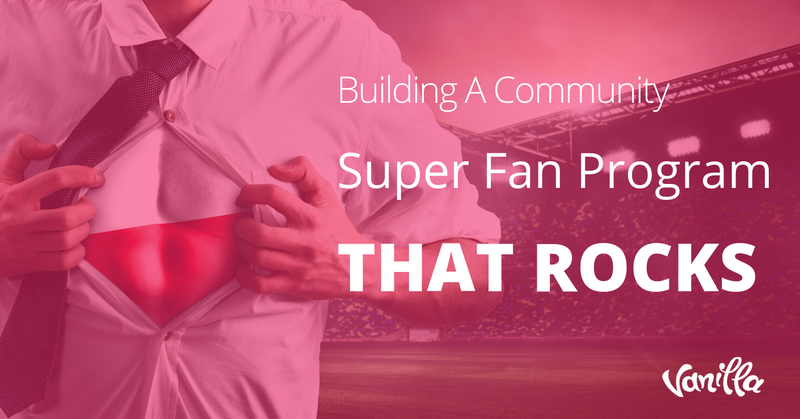 In this webinar, two experts in the field of community management provide some excellent insight for those trying to decide what to do. I’m sure it’ll help you out! Subscribe to the Community Corner Newsletter and get expert insight and analysis on how to get the most out of your online community every Friday. Have an Article for Vanilla's Blog? Send us an email to pr@vanillaforums.com with your topic idea and we'll circle back with our publishing guidelines. 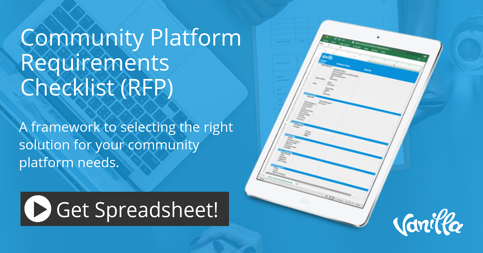 A robust cloud-based community forum solution. Schedule a product demo now. © 2019 Vanilla Forums. All Rights Reserved.